This specimen of 'L. martagon catanniae var. 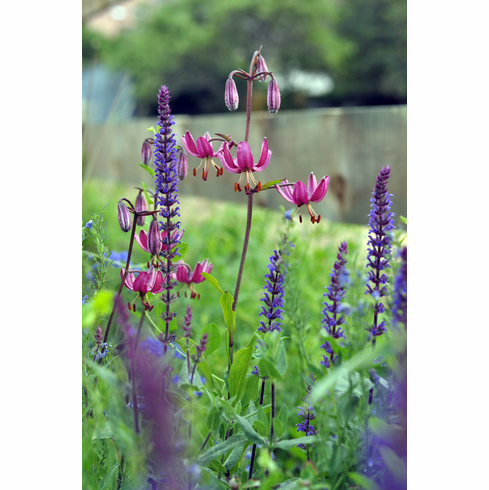 Yugoslavia' was received as bulbs that had been grown from wild collected seed in a stand of var. catanniae in Yugoslavia where the sub species is noted for its lighter colored flowers than those found in Dalmatia & Croatia.